This assessment of Pete is right on. Please give him your support now. I don’t know Pete, except through the things you’ve said about him….and the fact that he reminds me of Patrick Stewart, so he’s got to be good!….I wish him the best of luck. County politics can be awful in some places! Let me know if he’s still smiling in a year. I also liked the last two articles on voting. Hi! I know some of the S.O. 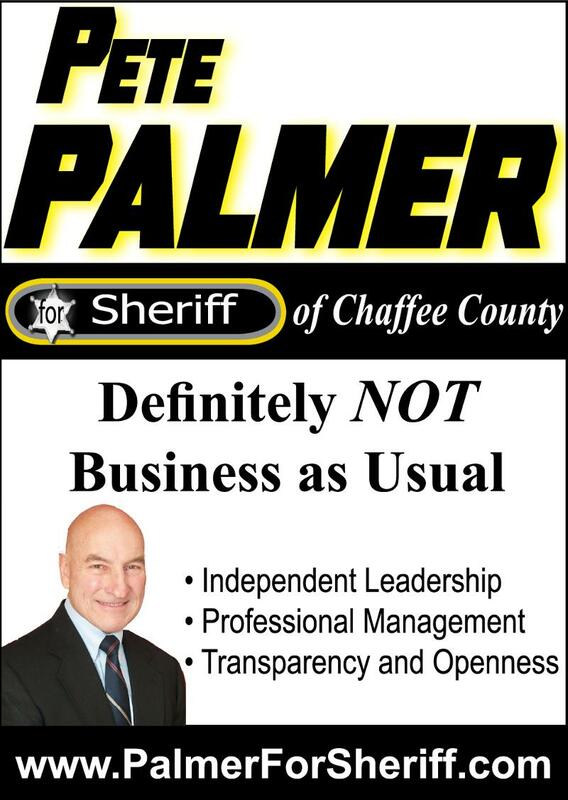 deputies in Chaffee County and they have a wait and see attitude so you’re right that Sheriff Palmer will have to show that he can make some needed changes. But, if he does he’ll have some good people…with a few exceptions that he’ll find out about right away! But, there are those everywhere. I wish him only the best. Way to go Pete! Good for him.